Most employees in companies have visibility of their tasks and processes, with access to the systems and information they need for their jobs. Some people have to be able to review business information in a larger context – executives and some roles that function at a strategic level, such as demand and financial planners. They often rely on reports that extract data from various sources. When a company provides the right tools, they can create these reports themselves. If not, IT needs to help. ERP systems have in many organizations replaced multiple, specialized software tools and connected lines of business that previously operated in isolation. However, a strong departmental orientation in businesses still prevails. Sometimes, ERP integrates with logistics, product lifecycle management (PLM), and other systems. Such areas as HR, sales, marketing, warehousing, shipping, asset management, and specialized project management often still run on their own. It may be inconvenient for people to access two or more software solutions, but it doesn’t happen all that often. Associated distractions or delays may be generally minimal, but can interfere with productivity. For many years and most of the time, this kind of arrangement may work well for companies. But it can slow a company’s innovative and competitive momentum down when only a select few have a full view of the entire operation and when data resides on information islands that are not well known. Executives don’t always know to what extent their reports draw on data from a variety of systems. The IT team might be the only ones who have an inventory of all systems and data stores. When they respond to requests from people who don’t have the same level of awareness, they may not always provide complete information. One outcome may be that strategic decisions are in error and planning is unreliable. That in itself is a significant risk. Over time, even very minor errors and delays may compound to slow down processes or damage relationships with customers and trading partners. And, if your company wants to digitize products or engage in any kind of digital business transformation, limited and lacking integrations will set you back. To remedy these shortcomings, companies will need to integrate their systems and thereby make sure that data islands are connected to roles and processes across the operation. Like any strategic initiative, this one should be well-planned by business and IT leadership together. Systems integration is too important and too consequential to let IT handle it. The business execs need to own it as well. They need to set the priorities and goals for integration before any purely technical discussions happen. When you integrate systems to let information flow to where it’s needed, you may be able to accelerate processes and communications and strengthen planning and decision-making at many levels. But you best start with an inventory of people’s challenges as they do their jobs in the absence of integration, and prioritize those possible integrations that could have the most impact on your customers and on how you meet their needs. 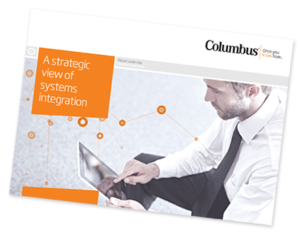 After that, you need to decide between a variety of integration approaches and readily available tools. Connectivity Studio for Microsoft Dynamics NAV offers powerful, extensive functionality and tools for creating a wide range of data integrations across multiple systems. 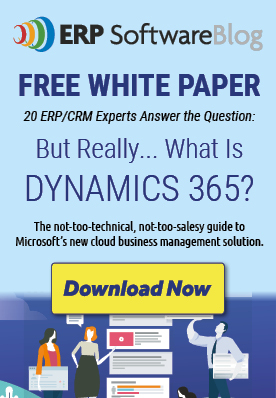 Download our eBook to learn more.